Do you have a large wall in your office or home to fill? Perhaps your front reception area, board room, waiting room or office(s) wall. 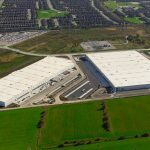 Consider this beautiful, detailed and unique 360 degree image of Barrie. 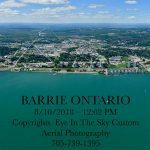 This captivating aerial panoramic image of Barrie will draw the attention of your customers and clients. They won't even feel like they are waiting as they try to find their homes or special landmarks! customized quote for your business. We have 25 years of experience in all areas of aerial imaging. We regularly shoot throughout the GTA and have teams Nationally Coast To Coast who we can co-ordinate with. We can support development progress, development strategies, commercial developments, private real estate and much more. Contact us today for a competitive and customized quote for your business. © 1995-2019 Eye In The Sky Photography. All Rights Reserved.